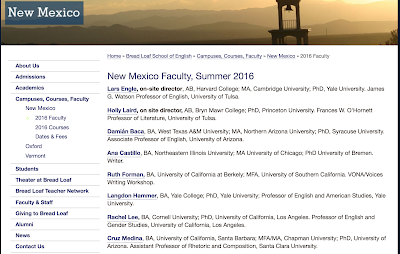 This summer I will be teaching as a part of the Santa Fe faculty for the The Bread Loaf School of English. 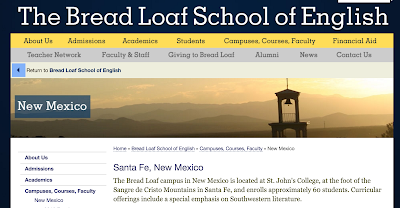 The Bread Loaf program is a graduate level six-week intensive summer program for practicing English teachers seeking to earn a Master's degree or further develop pedagogical practices. I look forward to working with wonderful students and learning from the experience of innovative colleagues. 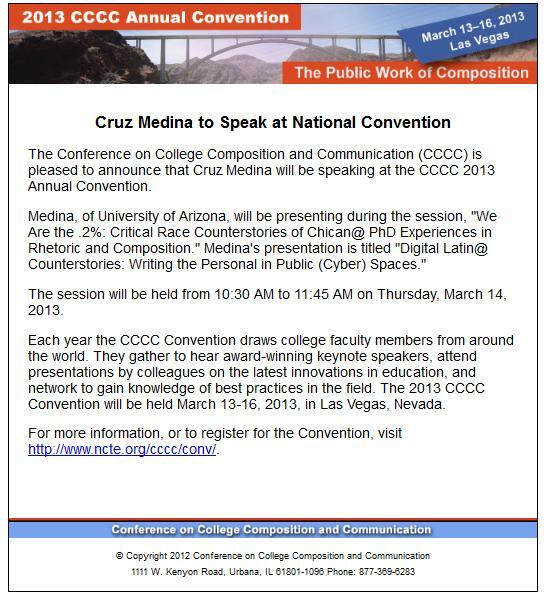 I will join a prominent group of scholar-professors at the Santa Fe campus, including, but not limiting to rhetoric and composition scholar Damian Baca and Chicana writer Ana Castillo, author of So Far from God: A Novel . My course is informed by my research on the digital writing genres of Twitter and digital storytelling, as well as my teaching with iPads and blogs. This class asks how has new media literacy affected what makes ‘good’ writing in digital and online composing environments? And, once we understand new media literacy, how can we begin to take practical steps to implement multimodal practices in writing pedagogy? In Writing Studies, composing written communication no longer singularly refers to alphabetic texts and the ‘technology’ of the essay. Reflecting metacognitively on the writing process will bring to light what happens in the translation of alphabetic texts into the genres available in online writing environments such as blogs, instructional YouTube videos, and podcasts.